The task for the computer here was to produce a verbal description of the image. There are thousands of words in the vocabulary, and a computer has to try them in different combinations to make a sensible sentence. There is no way a computer can be given an exhaustive list of correct sentences with examples of images for each. That kind of list would be a database bigger than the earth (as one can see just by counting the number of combinations). So to train the computer to use language like in a picture above, one only possesses a limited set of examples – maybe a few thousand pictures with descriptions. Yet we as humans are capable of learning from just seeing a few examples, by noticing the repeating patterns. So the computer can do the same! 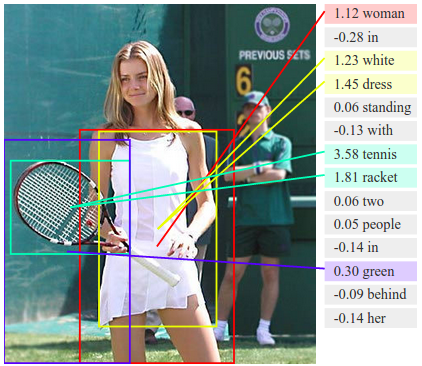 The score next to each word above is an estimate based on those few thousand examples of how relevant is the word “tennis” or “woman” to what’s in the box on the image. The algorithm produces possible sentences, scores them, and then selects the sentence with the highest total score. 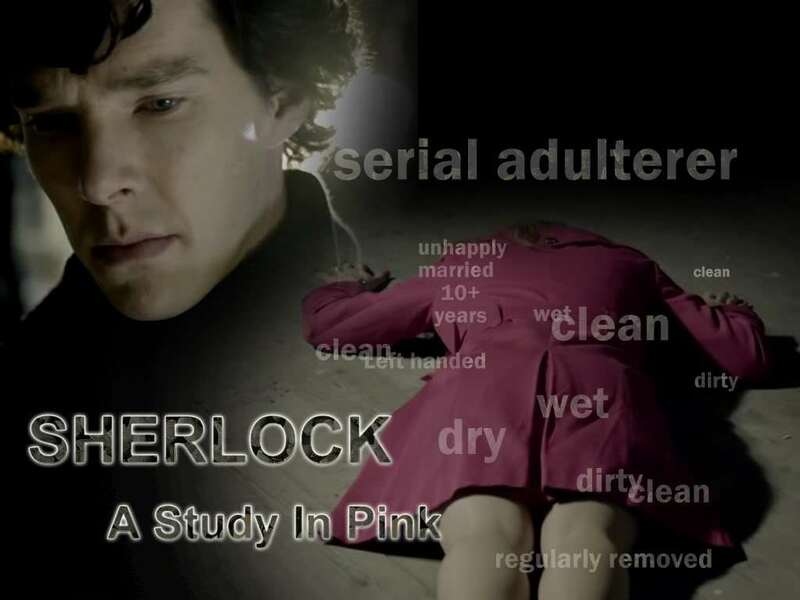 Once the classification task is done, one needs to use all the collected information to make a prediction – as Sherlock is able to point out the most probable motive in the first picture, we also want to predict a piece of very personal information: we’d like to know how to start up a conversation with that tennis player. Now how do quantum computers come into play? Well if you look at your search results, they are still pretty irrelevant most of the time. Imagine you used them as conversation starters – you’ll embarrass yourself 9 out of 10 times! To make this better, a certain company needs more memory and processing power. Yet most advanced deep learning routines remain out of reach, just because there are exponentially many hidden dependencies one would need to try and reject before the algorithm finds the right predictor. So a certain company turns to us, quantum computing people, as we deal with exponentially hard problems notoriously well! And indeed, quantum algorithms make some of the machine learning routines exponentially faster – see this Quantum Machine Learning article, as well as a talk by Seth Lloyd for technical details. Some anonymous stock trader is already trying to intimidate their fellow quants (quantitative analysts) by calling the top trading system “Quantum machine learning”. I think we should appreciate his sense of humor and invest into his algorithm as soon as Quantiacs.com opens such functionality. Or we could invest in Teagan from Caltech – her code recently won the futures contest on the same website.